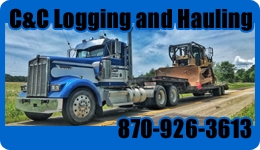 A recent comment that was submitted to the City of Imboden website history page by Dave Hoaglan whose grandparents at one time owned several businesses in Imboden. Mr. Hoaglan was kind enough to share several photos to be added to the City of Imboden website and a bit of history about his family. 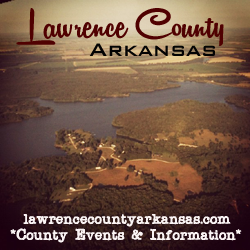 Mr. Dave Hoaglan stated ” Recently a relative sent me an old post card of “Uncle Walter’s Cabins”-On Spring River-Imboden, Arkansas. Uncle Walter was my grandfather. My grandparents, Gertie and Walter Hoaglan, were long term residents the area. 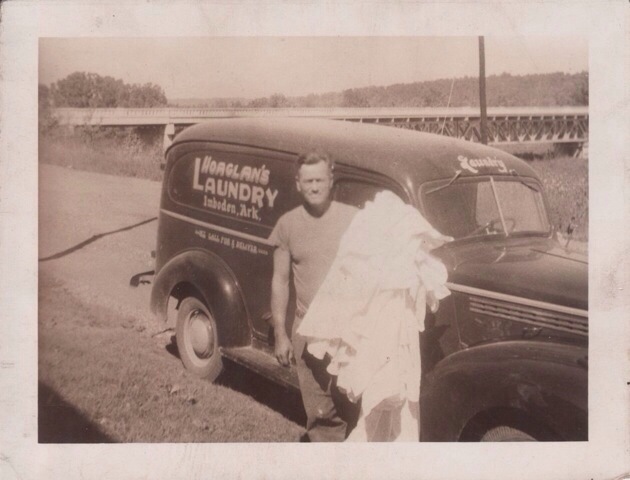 Granddad owned and operated Hoaglan’s commerical laundry in the early 50′s and then the cabins. 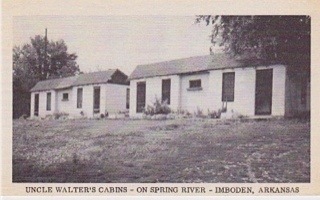 Mr. Hoaglan sent the following postcard of “Uncle Walter’s cabins on Spring River. 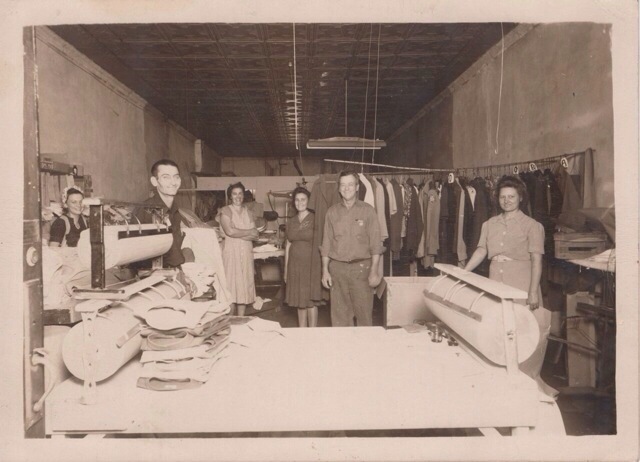 He also included two photo’s of his Grandparents laundry business . The laundry was located in a long narrow brick building at the corner of Main St and 1st Street. You can see the Spring River Bridge in the background. Date of the picture is unknown but probably late 1940’s or early 1959’s. The other photo taken inside the laundry includes Mr. Hoaglans’ grandparents Walter and Gertie as well as unidentified persons. If you have historic photos you would like added to the site please send the photo and information to admin@imbodenlive.com.